When steeplejack Joe Clarke is hired to repair the stonework at Muncaster Cathedral, he is unprepared for the horror he will encounter. Something unspeakably evil in the medieval tower is seeking victims among the young neighborhood boys ... and Joe’s son may be next! 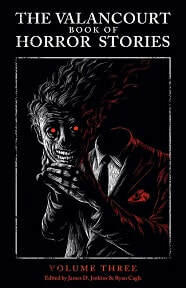 An unsettling story with a horrifying conclusion, this eerie tale will chill young and old readers alike. Robert Westall (1929-1993) is one of the best modern writers of ghost stories in the tradition of the great M.R. James, and The Stones of Muncaster Cathedral, which won the Dracula Society’s Children of the Night Award, is one of his finest. This volume also includes a second ghostly tale, ‘Brangwyn Gardens’, published here for the first time in the United States, and a new introduction by Orrin Grey. Robert Westall was born in North Shields, Northumberland in 1929. After taking degrees in fine art from Durham University and London’s Slade School, Westall worked as an art teacher and was also a freelance journalist and art critic for The Guardian. It was not till later in life that Westall turned to fiction, having been inspired to become a writer after telling his son Christopher stories about his childhood during World War II. His first book, The Machine Gunners, was published in 1975 when he was 45; it was a major success, winning the Carnegie Medal, and has been recognized by critics as a lasting classic of children’s literature. 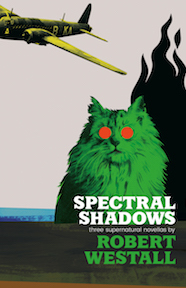 He would go on to publish over 40 books for young readers, including works that drew on his boyhood during the war, stories involving cats, and tales of the ghostly and supernatural. 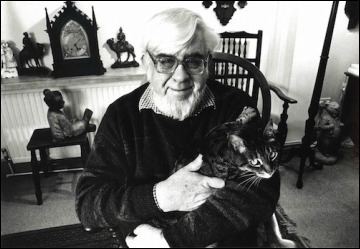 Besides The Machine Gunners, Westall is perhaps best known for The Scarecrows (1981), which won him a second Carnegie Medal and which his obituary in the Independent called ‘one of the most searing and haunting child-eyed views of divorce yet to have been written’, and Blitzcat (1989), which won the Smarties Prize. The Watch House (1977) and The Machine Gunners were also adapted for television serials. 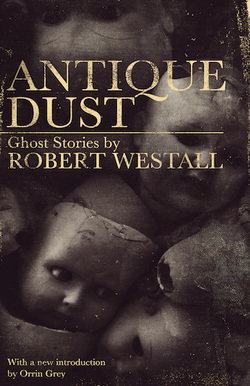 After retiring from teaching in 1985, Westall worked briefly as an antique dealer, an experience that partly inspired his sole work of fiction for adults, the ghost story collection Antique Dust (1989). The first edition’s jacket lists his hobbies as ‘nosing round old buildings, studying cats and looking for the unknown’ and notes that ‘he has never seen a ghost but has not yet given up hope’. Robert Westall died in 1993 at age 63.